It’s been an amazing week of news: the Confederate flag lowering across the South, the Supreme Court upholding the rights of everyone, not only to have health insurance but also to marry. 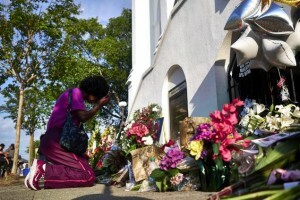 Of all the millions of words written and uttered about events, however, none were more eloquent or emotional than President Obama’s eulogy for the Reverend Clementa Pinckney and eight of his parishioners murdered at Mother Emanuel A.M.E. Church in Charleston, South Carolina. Here is the transcript, as released by the White House. A burden of expectation. To Jennifer, his beloved wife; to Eliana and Malana, his beautiful, wonderful daughters; to the Mother Emanuel family and the people of Charleston, the people of South Carolina. 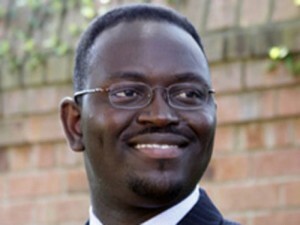 I cannot claim to have the good fortune to know Reverend Pinckney well. But I did have the pleasure of knowing him and meeting him here in South Carolina, back when we were both a little bit younger. Back when I didn’t have visible grey hair. The first thing I noticed was his graciousness, his smile, his reassuring baritone, his deceptive sense of humor — all qualities that helped him wear so effortlessly a heavy burden of expectation. Friends of his remarked this week that when Clementa Pinckney entered a room, it was like the future arrived; that even from a young age, folks knew he was special. Anointed. He was the progeny of a long line of the faithful — a family of preachers who spread God’s word, a family of protesters who sowed change to expand voting rights and desegregate the South. Clem heard their instruction, and he did not forsake their teaching. The best of 46. As a senator, he represented a sprawling swath of the Lowcountry, a place that has long been one of the most neglected in America. A place still wracked by poverty and inadequate schools; a place where children can still go hungry and the sick can go without treatment. A place that needed somebody like Clem. His position in the minority party meant the odds of winning more resources for his constituents were often long. His calls for greater equity were too often unheeded, the votes he cast were sometimes lonely. But he never gave up. He stayed true to his convictions. He would not grow discouraged. 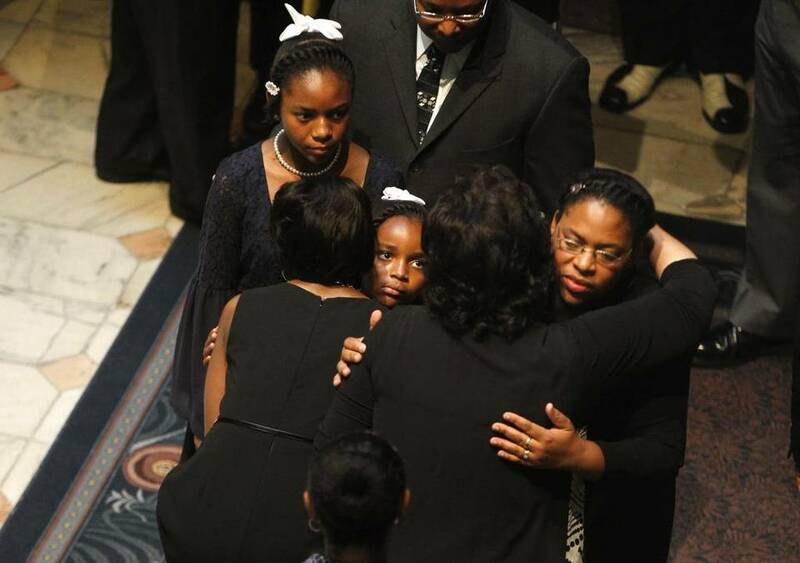 After a full day at the capitol, he’d climb into his car and head to the church to draw sustenance from his family, from his ministry, from the community that loved and needed him. There he would fortify his faith, and imagine what might be. Reverend Pinckney embodied a politics that was neither mean, nor small. He conducted himself quietly, and kindly, and diligently. He encouraged progress not by pushing his ideas alone, but by seeking out your ideas, partnering with you to make things happen. He embodied the idea that our Christian faith demands deeds and not just words; that the “sweet hour of prayer” actually lasts the whole week long — that to put our faith in action is more than individual salvation, it’s about our collective salvation; that to feed the hungry and clothe the naked and house the homeless is not just a call for isolated charity but the imperative of a just society. What a good man. Sometimes I think that’s the best thing to hope for when you’re eulogized — after all the words and recitations and resumes are read, to just say someone was a good man. Hush harbors, praise houses. Cynthia Hurd. Susie Jackson. Ethel Lance. DePayne Middleton-Doctor. Tywanza Sanders. Daniel L. Simmons. Sharonda Coleman-Singleton. Myra Thompson. Good people. Decent people. God-fearing people. People so full of life and so full of kindness. People who ran the race, who persevered. People of great faith. To the families of the fallen, the nation shares in your grief. 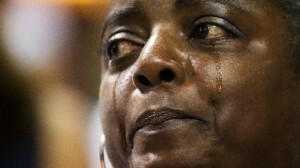 Our pain cuts that much deeper because it happened in a church. The church is and always has been the center of African-American life — a place to call our own in a too often hostile world, a sanctuary from so many hardships. 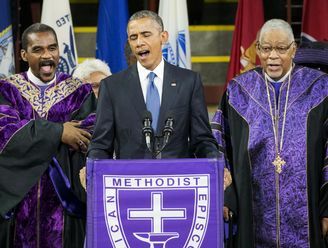 Over the course of centuries, black churches served as “hush harbors” where slaves could worship in safety; praise houses where their free descendants could gather and shout hallelujah — rest stops for the weary along the Underground Railroad; bunkers for the foot soldiers of the Civil Rights Movement. They have been, and continue to be, community centers where we organize for jobs and justice; places of scholarship and network; places where children are loved and fed and kept out of harm’s way, and told that they are beautiful and smart — and taught that they matter. That’s what happens in church. That’s what the black church means. Our beating heart. The place where our dignity as a people is inviolate. 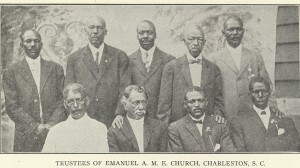 When there’s no better example of this tradition than Mother Emanuel — a church built by blacks seeking liberty, burned to the ground because its founder sought to end slavery, only to rise up again, a Phoenix from these ashes. 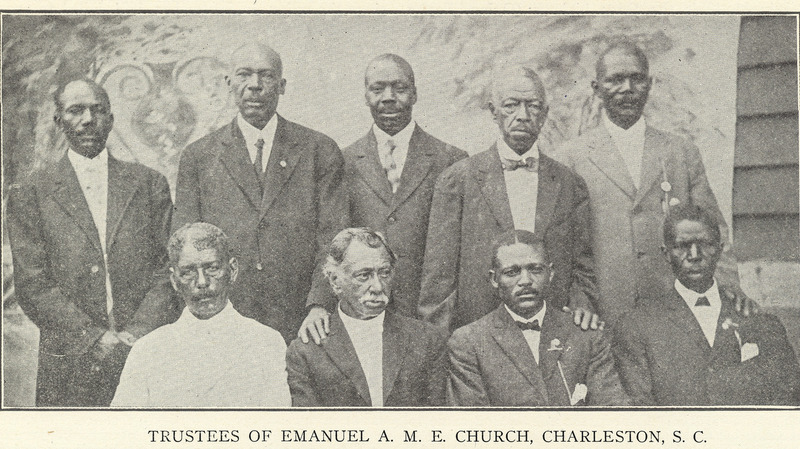 When there were laws banning all-black church gatherings, services happened here anyway, in defiance of unjust laws. When there was a righteous movement to dismantle Jim Crow, Dr. Martin Luther King, Jr. preached from its pulpit, and marches began from its steps. A sacred place, this church. Not just for blacks, not just for Christians, but for every American who cares about the steady expansion — of human rights and human dignity in this country; a foundation stone for liberty and justice for all. That’s what the church meant. Used by God. We do not know whether the killer of Reverend Pinckney and eight others knew all of this history. But he surely sensed the meaning of his violent act. 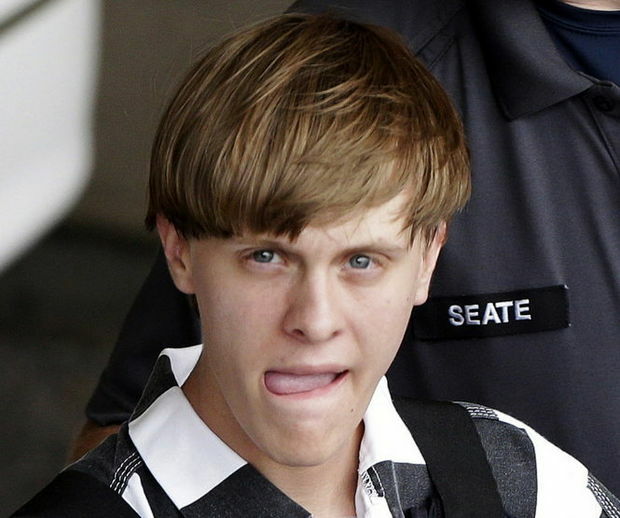 It was an act that drew on a long history of bombs and arson and shots fired at churches, not random, but as a means of control, a way to terrorize and oppress. An act that he imagined would incite fear and recrimination; violence and suspicion. An act that he presumed would deepen divisions that trace back to our nation’s original sin. He didn’t know he was being used by God. 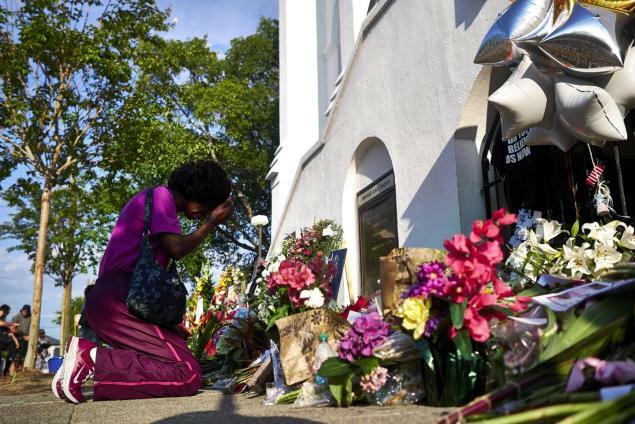 Blinded by hatred, the alleged killer could not see the grace surrounding Reverend Pinckney and that Bible study group — the light of love that shone as they opened the church doors and invited a stranger to join in their prayer circle. The alleged killer could have never anticipated the way the families of the fallen would respond when they saw him in court — in the midst of unspeakable grief, with words of forgiveness. He couldn’t imagine that. The idea of grace. This whole week, I’ve been reflecting on this idea of grace. 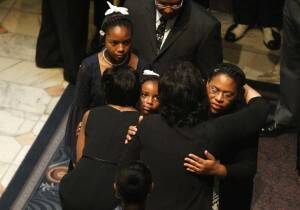 The grace of the families who lost loved ones. The grace that Reverend Pinckney would preach about in his sermons. 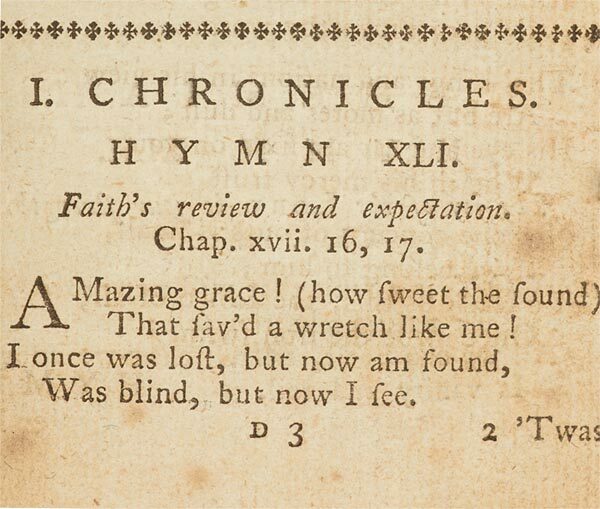 The grace described in one of my favorite hymnals — the one we all know: Amazing grace, how sweet the sound that saved a wretch like me. I once was lost, but now I’m found; was blind but now I see. As a nation, out of this terrible tragedy, God has visited grace upon us, for he has allowed us to see where we’ve been blind. He has given us the chance, where we’ve been lost, to find our best selves. We may not have earned it, this grace, with our rancor and complacency, and shortsightedness and fear of each other — but we got it all the same. He gave it to us anyway. He’s once more given us grace. But it is up to us now to make the most of it, to receive it with gratitude, and to prove ourselves worthy of this gift. An honest accounting of history. For too long, we were blind to the pain that the Confederate flag stirred in too many of our citizens. It’s true, a flag did not cause these murders. 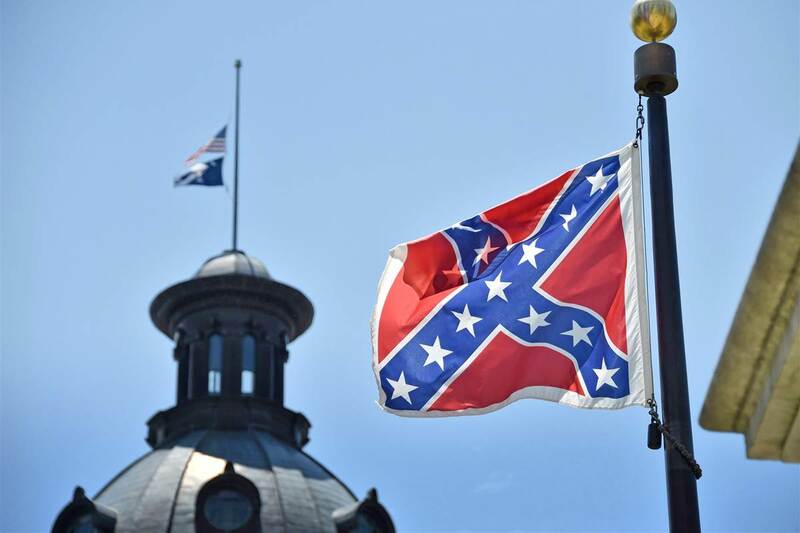 But as people from all walks of life, Republicans and Democrats, now acknowledge — including Governor Haley, whose recent eloquence on the subject is worthy of praise — as we all have to acknowledge, the flag has always represented more than just ancestral pride. For many, black and white, that flag was a reminder of systemic oppression and racial subjugation. We see that now. Removing the flag from this state’s capitol would not be an act of political correctness; it would not be an insult to the valor of Confederate soldiers. It would simply be an acknowledgment that the cause for which they fought — the cause of slavery — was wrong — the imposition of Jim Crow after the Civil War, the resistance to civil rights for all people was wrong. It would be one step in an honest accounting of America’s history; a modest but meaningful balm for so many unhealed wounds. It would be an expression of the amazing changes that have transformed this state and this country for the better, because of the work of so many people of goodwill, people of all races striving to form a more perfect union. By taking down that flag, we express God’s grace. The subtle impulse. But I don’t think God wants us to stop there. For too long, we’ve been blind to the way past injustices continue to shape the present. Perhaps we see that now. Perhaps this tragedy causes us to ask some tough questions about how we can permit so many of our children to languish in poverty, or attend dilapidated schools, or grow up without prospects for a job or for a career. Perhaps it causes us to examine what we’re doing to cause some of our children to hate. Perhaps it softens hearts towards those lost young men, tens and tens of thousands caught up in the criminal justice system — and leads us to make sure that that system is not infected with bias; that we embrace changes in how we train and equip our police so that the bonds of trust between law enforcement and the communities they serve make us all safer and more secure. Maybe we now realize the way racial bias can infect us even when we don’t realize it, so that we’re guarding against not just racial slurs, but we’re also guarding against the subtle impulse to call Johnny back for a job interview but not Jamal. For too long. So that we search our hearts when we consider laws to make it harder for some of our fellow citizens to vote. By recognizing our common humanity by treating every child as important, regardless of the color of their skin or the station into which they were born, and to do what’s necessary to make opportunity real for every American — by doing that, we express God’s grace. For too long, we’ve been blind to the unique mayhem that gun violence inflicts upon this nation. Sporadically, our eyes are open: When eight of our brothers and sisters are cut down in a church basement, 12 in a movie theater, 26 in an elementary school. But I hope we also see the 30 precious lives cut short by gun violence in this country every single day; the countless more whose lives are forever changed — the survivors crippled, the children traumatized and fearful every day as they walk to school, the husband who will never feel his wife’s warm touch, the entire communities whose grief overflows every time they have to watch what happened to them happen to some other place. 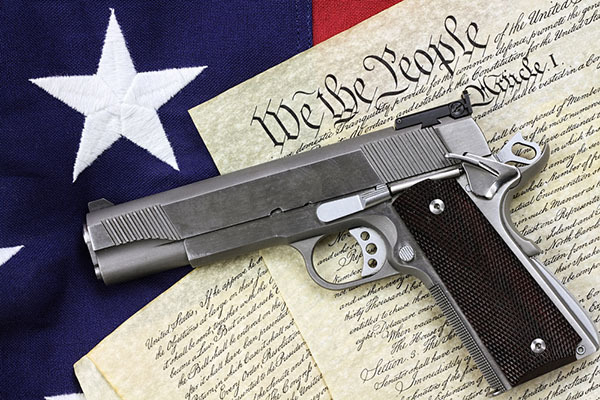 The vast majority of Americans — the majority of gun owners — want to do something about this. We see that now. And I’m convinced that by acknowledging the pain and loss of others, even as we respect the traditions and ways of life that make up this beloved country — by making the moral choice to change, we express God’s grace. We don’t earn grace. We’re all sinners. We don’t deserve it. But God gives it to us anyway. And we choose how to receive it. It’s our decision how to honor it. Refutation of forgiveness. None of us can or should expect a transformation in race relations overnight. Every time something like this happens, somebody says we have to have a conversation about race. We talk a lot about race. There’s no shortcut. And we don’t need more talk. None of us should believe that a handful of gun safety measures will prevent every tragedy. It will not. People of goodwill will continue to debate the merits of various policies, as our democracy requires — this is a big, raucous place, America is. And there are good people on both sides of these debates. 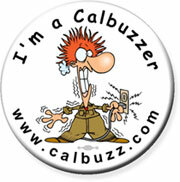 Whatever solutions we find will necessarily be incomplete. But it would be a betrayal of everything Reverend Pinckney stood for, I believe, if we allowed ourselves to slip into a comfortable silence again. Once the eulogies have been delivered, once the TV cameras move on, to go back to business as usual — that’s what we so often do to avoid uncomfortable truths about the prejudice that still infects our society. To settle for symbolic gestures without following up with the hard work of more lasting change — that’s how we lose our way again. The uses of history. Reverend Pinckney once said, “Across the South, we have a deep appreciation of history — we haven’t always had a deep appreciation of each other’s history.” What is true in the South is true for America. Clem understood that justice grows out of recognition of ourselves in each other. That my liberty depends on you being free, too. That history can’t be a sword to justify injustice, or a shield against progress, but must be a manual for how to avoid repeating the mistakes of the past — how to break the cycle. A roadway toward a better world. He knew that the path of grace involves an open mind — but, more importantly, an open heart. Amazing Grace. That reservoir of goodness. If we can find that grace, anything is possible. If we can tap that grace, everything can change. 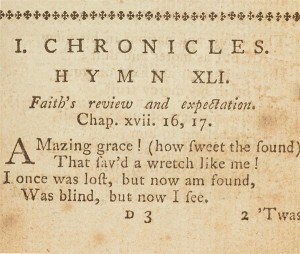 (Begins to sing) — Amazing grace — how sweet the sound, that saved a wretch like me; I once was lost, but now I’m found; was blind but now I see. Through the example of their lives, they’ve now passed it on to us. May we find ourselves worthy of that precious and extraordinary gift, as long as our lives endure. 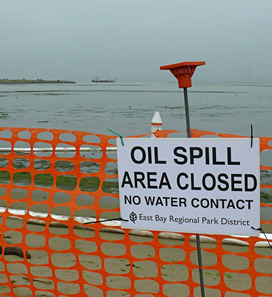 The oil company responsible for the recent coastline spill near Santa Barbara and a state agency both confirmed Monday that oil from the accident has traveled more than 100 miles to the south, raising the financial, legal and political stakes of the incident. The finding that mysterious, large tar balls which have polluted beaches as far away from Santa Barbara as Manhattan Beach, a small Los Angeles County city 130 miles from the accident, puts the lie to spin from Plains All American Pipeline, the company responsible for the spill. 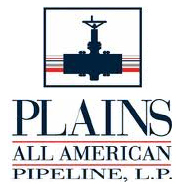 –The far-flung damage caused by the broken Plains pipeline ensures that the financial, and possibly criminal, liability of the company will be far greater than the several million dollars previously estimated. Both Attorney General Kamala Harris and Santa Barbara District Attorney Joyce Dudley are conducting investigations into the shoddy maintenance of the badly corroded pipeline that ruptured. –The spread of oil along the coast and underwater will buttress efforts in Sacramento to more tightly restrict and regulate production and transportation of offshore oil. At least three bills are pending in the Legislature on the issue, which would: crack down on slipshod practices in the large network of pipelines that line the coast; close a legal loophole that allows oil companies to extract oil from certain state-owned offshore sites within the California Coastal Sanctuary; beef up emergency procedures for oil spills while preventing the use of toxic dispersants. –The new reports by Plains and California’s Department of Fish and Wildlife casts a harsh light on the federal agency responsible for inspecting pipelines, strengthening efforts by Democrats in Congress to tighten safety policies and procedures, and to increase funding and staffing for the government’s Pipeline and Hazardous Materials Safety Administration, at a time when Republicans keep cutting regulatory agency budgets across the board. 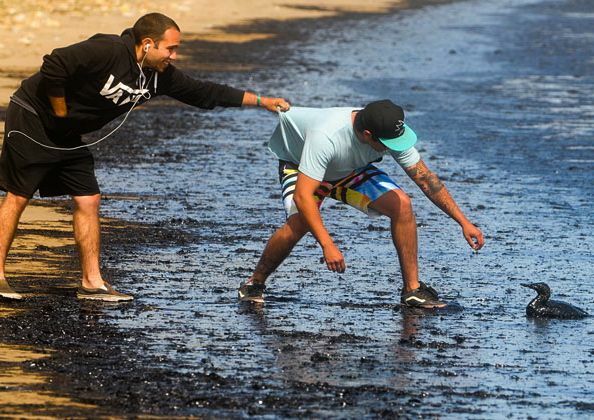 Beach goers and environmental organizations have reported finding unusual deposits of tar on beaches as far away as Orange County and San Diego, and confirmation that the oil from the spill has spread also will increase pressure for more testing to determine the full extent of the damage, both on the coast and underwater, where the impacts are harder to discover and to measure. “Long Beach and seven miles of South Bay beaches experienced closures, all during unfortunate timing at the beginning of peak summer season,” the statement added. For Plains, at least part of the bottom line message from the troubling reports is clear: ka-ching, ka-ching.